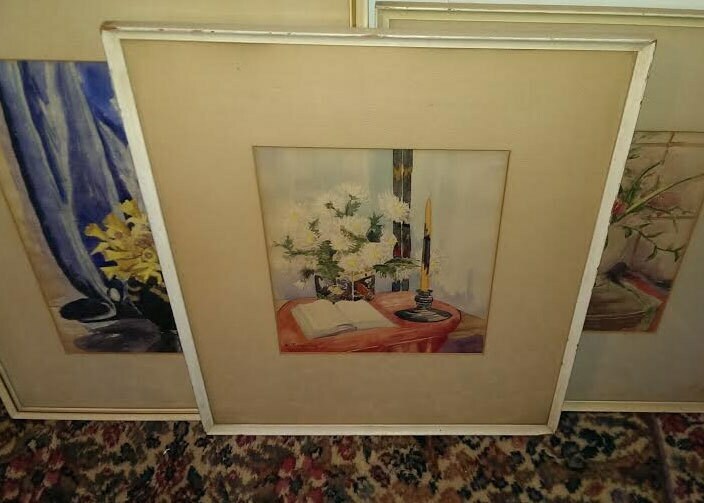 Painting Measures 8 3/4" X 7 5/8"
Frame Measures 16 9/16" X 14 9/16"
This Framed Watercolor Ships With Insurance For $20.00 In The U.S.A.
Nathalie T. Yehling (1896-1983 was a watercolor artist who lived in the St. Louis area during much of her life and later in Arizona. Her first name sometimes appears as Nathalia, Natalia, or Natalie. Born Nathalie T. Miers on Sept. 9, 1896, likely in St. Louis, MO, she married Charles L. Yehling (1891-1950) in St. Louis on Oct. 2, 1922. The Yehling family originated from Prussia. Little is known of her training and career as a watercolor artist. 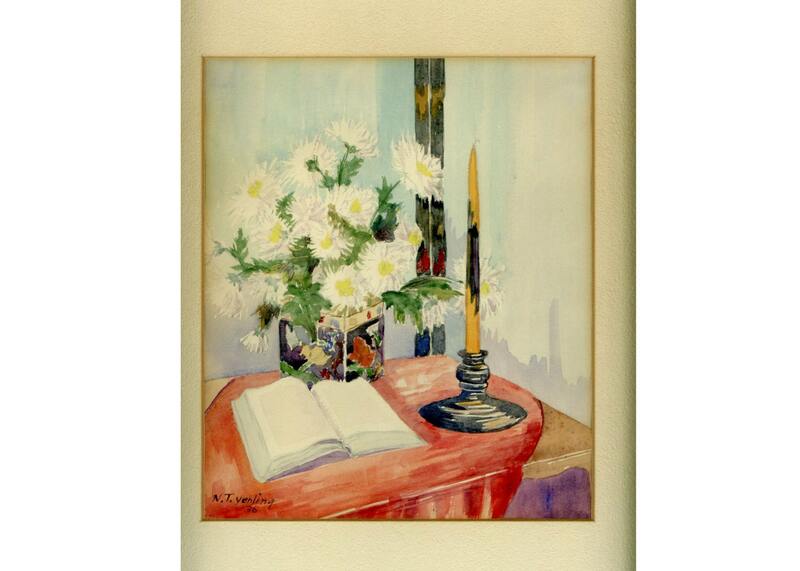 Her known work is a floral still life that dates to the 1940s; the label of the Korzendorfer & Bick Frame, Co. of St. Louis appears on the back.